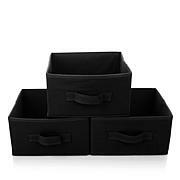 You have your Origami shelves, so add some Origami bins to your storage container collection. 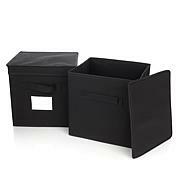 This foldable bin helps you maximize your space and storage needs. It opens and folds in seconds and easily slides in and out of Origami shelves. It's another winning solution from Origami! 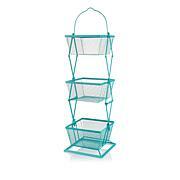 Turquoise did not match the 2 turquoise storage bins that came with my origami storage shelves. when I called Customer Service, they were aware the bins were not made to match. Wish that had been communicated in the on-air demo. Otherwise, LOVE Origami shelves. I have about 10 in all different shapes, sizes, and usages. These are useful to someone living in an apartment. I buy TP in large quantities and need somewhere to hide it in plain view. I thought I was ordering cubes but received rectangles. They were harder to place atop my bookcases than cubes would have been, but they do the job. Nice aqua color. They are flimsy but not so much that they don't work. Smaller than expected. 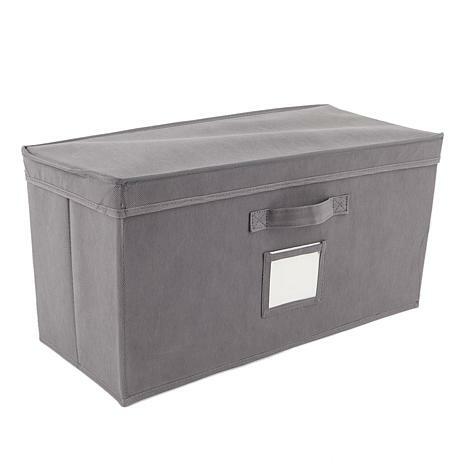 I wanted a storage bin that I could put in the bottom of my closet where there is no shelf. This bin is by no means large. It's too small for what I had in mind. I needed a locker size storage bin. Easy to assemble. Good if you don't have too much to store. Junk to go on their junk rack. I can't believe how crappy this item and the stand that I purchased for it go on are. Put it in my walk-in closet and the rack wont even roll on the carpet. when I try to move it it bends and wants to tip over. These storage boxes are nothing but cardboard with some cheap mater stretched over them. The entire system is JUNK! . Apparently I waited to long to return it so stuck with it. I will more than likely donate it.